Diabetes : Could More Coffee Lower Your Odds for Diabetes? THURSDAY, April 24, 2014 (HealthDay News) -- Drinking more coffee might lower your risk for type 2 diabetes, a new large U.S. study suggests. People who boosted their daily java intake by more than one cup over four years reduced their diabetes risk, while adults who drank less coffee in that time frame saw their odds for diabetes rise, the study of over 123,000 adults found. "It looks like there is a dose-response relationship between increasing coffee consumption and a lower risk of diabetes," said lead researcher Dr. Frank Hu, professor of nutrition and epidemiology at the Harvard School of Public Health. "Basically, the more coffee, the lower the risk of diabetes," Hu said. "People who drink three to five cups of coffee a day enjoyed a significant reduction in type 2 diabetes risk." However, people can drink too much coffee, particularly those who don't respond well to caffeine, Hu cautioned. Caffeine, a stimulant, keeps some people awake, and can also cause the heart to speed up. "It's hard to pinpoint which components of coffee may contribute to a decreased risk of type 2 diabetes," Hu said. "Current thinking is that it is the combination of antioxidants and other nutrients in coffee that are responsible for a lower risk of developing diabetes." The study, published online April 24 in Diabetologia, shows an association between more coffee and lower diabetes risk but can't actually prove that one causes the other, Hu said. However, experiments in animals and a small human trial did find a cause-and-effect relationship between coffee and reduced insulin resistance, he said. Insulin resistance is a warning sign of diabetes. Coffee can be part of a healthy diet, but people shouldn't look to it as a way to prevent type 2 diabetes, Hu said. "People should still watch their weight and be physically active," he added. Like Hu, other experts aren't ready to advise patients to up their coffee intake just yet. "It appears from the study that coffee can protect at least certain populations from developing type 2 diabetes," said Dr. Joel Zonszein, director of the Clinical Diabetes Center at Montefiore Medical Center in New York City. "However, as with everything else, the message is not drinking coffee to prevent diabetes, but rather balancing all good elements in life so they can all be used and consumed with moderation," he said. Dr. Spyros Mezitis, an endocrinologist at Lenox Hill Hospital in New York City, said a drawback of the study is that the data was all self-reported by the participants. "You don't know if they are telling the truth," he said. Moreover, weight loss and exercise are more effective ways to reduce diabetes risk than drinking more coffee, Mezitis said. "I am not recommending that anyone drink coffee to prevent diabetes," he said. For the study, Hu's team collected data from three major U.S. studies: the Nurses' Health studies of 1986-2006 and 1991-2007, and the Health Professionals Follow-up Study of 1986-2006. Study participants completed questionnaires every four years that included their coffee and tea intake. 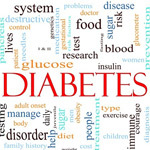 Overall, 7,269 cases of type 2 diabetes were reported. The researchers calculated that people who increased their coffee consumption by more than one cup a day for four years reduced the risk of developing type 2 diabetes over the next four years by 11 percent compared with those who didn't boost their daily coffee intake. However, people who drank at one less cup of coffee or more daily over the four years had a 17 percent higher risk for diabetes in the subsequent four years, the researchers said. Hu's group defined a cup of coffee as 8 ounces of coffee, black or with a small amount of milk and/or sugar. Drinking coffee loaded with sugar or cream may reduce any benefit coffee may have in reducing diabetes risk, Hu said. The findings only applied to caffeinated coffee. Decaffeinated coffee and caffeinated tea weren't associated with changes in risk for type 2 diabetes, the researchers said. Dr. Alyson Myers, an endocrinologist at North Shore University Hospital in Manhasset, N.Y., said coffee alone might not account for the reduced diabetes risk. "It is unclear if the extra cup of coffee may cause these patients to eat less, as they may become full faster," she said. Noting that the study consisted of health care professionals, Myers said the results might not reflect the entire population. Also, the study doesn't address physical activity. "Perhaps those who drank caffeinated coffee had the energy to work out more," she said.